Let’s start with an eye-banger! Those who claim the Genesis six days of Creation narrative is not an issue as no Christian doctrine depends on it, actually means no one would have been able to recognise Jesus Christ as Lord or Saviour? So what do I mean? There is no doubt that anyone who reads Genesis 1, whether it be an innocent six year old child, devout sceptic, atheist or enthusiastic theistic evolutionist, they all know that Genesis states God made the world in six days, because that’s what they are objecting to! They may tell you they don’t believe it, or even try to convince you it couldn’t mean six literal days, but they can do so only because they see that six days is what the text clearly states. So the first doctrine connected to these six days is that God is the Creator. So let’s join some dots, and follow these six days through the Bible and see if we can really dispense them as ‘irrelevant’. By the time you reach what are commonly called the 10 commandments in Exodus chapter 20 (or Deuteronomy 5), these six days of creation have been turned into the basis of a moral law for Israel, stating God made the world in six days and rested on the seventh, therefore man will work for six literal days, and rest for one literal day (Exodus 20:9-11). It is important to note that the Ten Commandments are recorded as spoken by God Himself. Exodus 20:1 states “And God spoke all these words, saying…” They are never regarded as Moses’ interpretation. So the second doctrine connected to these six days is that God is the Creator and therefore He has the right to make the rules concerning mans behaviour. To restate that simply, sin in the Old Testament was breaking the law, and the penalty of sin was death. Sound familiar? So the third doctrine connected to these six days is that God is the Creator and therefore He has the right to make the rules concerning mans behaviour, thus He has the authority and the power to be Judge of sin. Those who claim the only Christian doctrines that matter are ‘salvation issues’ so don’t bother with the six days, come unglued right here. Salvation is only needed by sinners and one of the first consequences of disposing of the Old Testament six days of creation in Genesis, which are repeatedly built into the Law of Moses is that you no longer have a New Testament definition of sin and therefore would never know if you needed a saviour or not. Think it through carefully. Sin is not just what you or I think is bad or wrong or inconvenient or guilt inducing. Sin needs an out of this world, Perfect-God-revealed definition to have any meaning at all to sinful men and women who by nature are unqualified to make such a ruling, let alone enforce one. We should not therefore be surprised that both Old and New Testaments are telling us that the six day working week followed by one day of rest was part of God’s standard for determining what is sinful. You may not like it, and you may not agree with it, but in the end, your opinion and mine are unenforceable and irrelevant against the power of One who Created the Universe. They also accused Jesus of blasphemy in the Sabbath context because He made himself equal to God (John 5:10-18). The Jewish leaders’ logic was impeccable. Anybody who made themselves equal with God was truly guilty of blasphemy. The Law of Moses said so! But they overlooked a more important question; had Jesus falsely called himself God? The real answer was NO! He had told the truth, and they could have figured this out by watching His life to see if it matched up to Gods revealed standard of righteousness which was the Law in Exodus 20, including the six day one based on Genesis. And that is one reason Paul states in (Galatians 3:24) that the law was and is a schoolmaster, whose purpose is to lead us to Christ. Both to show us we are sinners and to reveal that Jesus wasn’t! Right to the time of His crucifixion, the Jewish leaders failed to find any sustainable accusation against Jesus for breaking the law so they could not prove He had sinned! It is imperative we understand that one vital purpose of the Law was to reveal who the sinless son of God was. In all of Israel’s history there had never been a man who could claim to have kept the whole Law. Every person in Israel was a proven sinner, which is why the God who gave the law graciously made provision for this problem when He included not only sacrifices for overt sin, but sacrifices for sins of ignorance, i.e. those sins that people didn’t even know they had committed. So the fourth doctrine connected to these six days is that God is the Creator and therefore He has the right to make the rules concerning man’s behaviour, thus He has the authority and the power to be Judge of sin, as well as to use the Law to show that the promised Christ actually met the standards required to be a saviour, i.e. He was without sin! Now consider why Jesus was removed from the cross prior to the start of the Sabbath and then placed in the grave of the rich man Joseph of Arimathea. The last part is well known – there was a prophecy about His burial in the grave of a rich man (Isaiah 53:9), but the reason for the burial before the Sabbath was so the Jews could ‘superficially’ obey the Sabbath law and not have to work ‘burying a dead body’ on the Sabbath. But it also produced one unnoticed and amazing result for it also meant that Christ’s body would be at rest on the Sabbath. Just think of the ‘RIP’ we place on graves to follow this line. It means we can therefore state that either alive or dead, out of the grave or in it, Jesus could never be accused of breaking God’s law. He was totally without sin and He alone was suitable to be Saviour. No other human ever had such qualifications. Every year the High Priest in Israel would offer a sacrificial lamb with the shedding of blood for the peoples’ sins, and they also had to offer a sacrifice for their own sin. But Jesus, as the Christ whose life proved Him to be the only sinless man, could actually be The High Priest who could offer both a sin-free sacrifice for His people, as well as shed His own blood as the sacrificial Lamb of God, for the sins of Adam and his descendants. So the fifth doctrine connected to these six days, is that God is the Creator and therefore He has the right to make the rules concerning mans behaviour, thus He has the authority and the power to be Judge of sin, as well as to use the Law to show that the promised Christ actually met the standards required to be a sinless saviour, and in demonstrating this, God’s revealed law could be our teacher to lead us to recognise this Jesus was indeed the promised Messiah and Saviour of mankind. Now here are some very important dots. We read in John’s Gospel that “all things were made by Jesus” (John 1:3, 14) and furthermore, in Exodus 20:11 where it says The Lord (Yahweh/Jehovah) made the world and everything in it in just six days. Now cross reference this to Colossians 1:16,17 where we find “all things were made by him, who is the head of the church” plus Revelation 4:11 reminding us that ‘Christ is worthy, because He is Creator.” It means we now know that Jesus is also Yahweh/Jehovah. Suddenly the glorious truth of the unity of the Godhead, in the Tri-unity of three persons, Father, Son and Spirit, leaps into view as an emphatic and central truth to the Christian doctrine of the Saviour being bodily indwelt by the fullness of the God Head (Colossians 2:9), and it’s all related to the six days of creation. Lastly consider the vital doctrine of the inspiration of Holy Scripture, as set out in 2 Timothy 3:16: “All Scripture is breathed out by God and profitable for teaching, for reproof, for correction, and for training in righteousness”. Those well intentioned evangelicals who claim the six days are irrelevant to Christian doctrine, are now caught in a bad corner. If the god they believe in has not told the truth from the start, that god has been a liar from the very beginning and only one personage in the whole Bible qualifies for that description: the evil being labelled Satan. The teachings that the six days of creation are irrelevant, or the days are incomprehensible, are actually false doctrines from the “father of lies” (John 8:44) who wants all Christians to compromise Scripture, so that non-Christians feel more comfortable denying it altogether, unconcerned that they are sinners who need a saviour and are on their way to God’s eternal judgement in Hell. SIX DAYS? 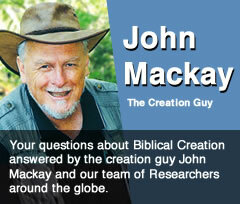 Why did God create the world in six days? Surely God could have used any time he wanted? Answer here.